Permit and Boat Rentals are sold at the Ranger Station. We do not sell fishing licenses, bait, or tackle, so anglers must acquire these essentials elsewhere prior to their visit. All day motor boats are discounted to $20 for seniors (60+) on Tuesdays and Thursdays, and for active military every Saturday. Due to the threat of Quagga mussels, there is a ban on private water craft and equipment. Restricted equipment includes; private boats, canoes, kayaks, float tubes, trolling motors, fish finders, anchors, and other equipment that contacts the water. The trout fishing has been excellent as a result of the consecutive plants. 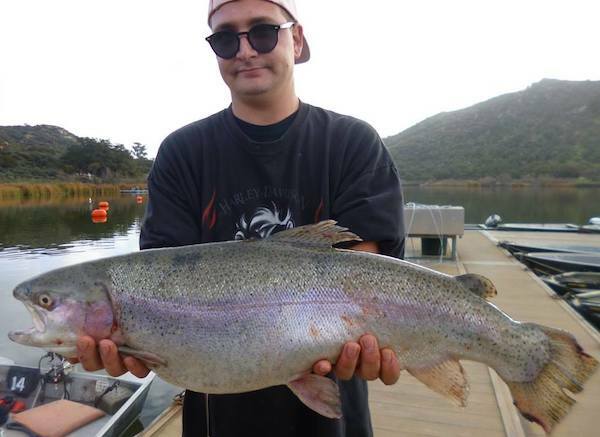 The biggest trout this week belonged to Daniel White of Santa Ana and weighed 7.70#s, it was caught on a pink mouse-tail in Boat Dock Cove. 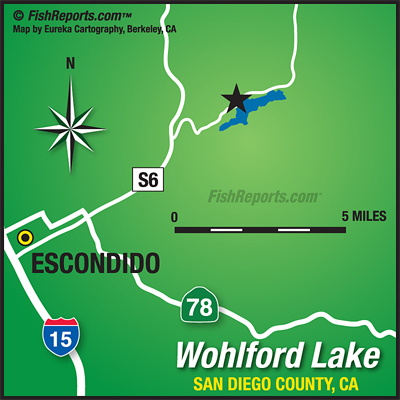 Jim Lepisto of San Diego came in second with a 5.70# trout caught on a rooster-tail near the West Buoy Line. 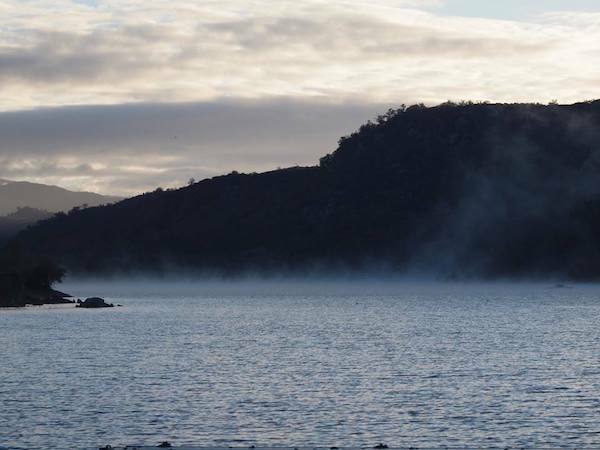 Four days of rain might stain the water and slow the fishing, the coves are usually the last place to feel the effects. Mouse-tails and inflated night-crawlers have been the top baits. Crappie have been suspended deep feeding on bait fish near the West Buoy Line. Crappie prefer the cover of shade and are most often caught using finger jigs or live golden shiners.